ZooNation‘s army of mini-mes has taken to the South bank this month, in an interpretatively illuminating, reinforced rendition of The Wizard of Oz story. 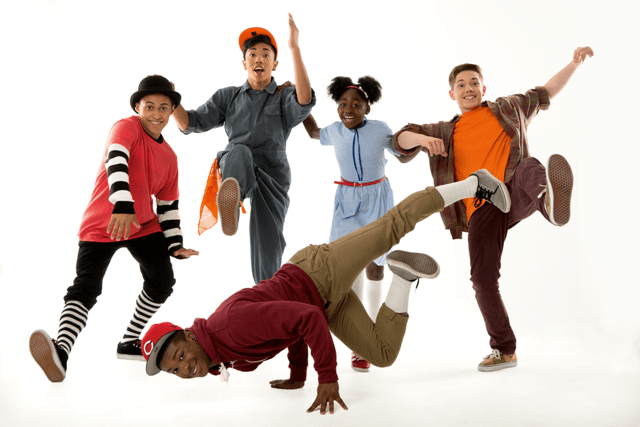 Groove On Down The Road is the first full-scale production from ZooNation Youth Company (ZYC) with celebrated choreographer Katie Prince, whose previous shows include critically acclaimed Some Like It Hip Hop and Into The Hoods. Written and directed by Prince and performed by 10 -19 year olds, Groove On Down The Road provides 75 minutes of visual excitement and an inspirational feel-good factor for children and adults. Taking from the popular themes of Baum’s story of Oz, the performance confronts issues of self belief and self-contradiction in an enchanting fluidity of dance and raw assertion. Based on Prince’s concern for creative expression and education in young people, the themes from Oz tie in with her aim to portray a similar representation in today’s educational environment of funding cuts and decline in artistic focus in the classroom. The story also provides metaphoric delineation of classroom dynamics. The characters Tinman, Scarecrow and Lion feature as recurring behavioural traits that many school environments contends with: the bully, the shy kid, the self-doubting student. The production aims to celebrate creative intelligence, while providing inspiration to young audiences (and their parents) in an open-minded reflection on inclusion and self-expression. Collaborating with set and costume designer, Ben Stones (Romeo And Juliet, Some Like It Hip Hop), Prince links the story of Oz to all things classroom; from the Yellow Brick Road, represented as blank schoolbook pages, to the Emerald High City, a roll up green board. She also tackles darker themes of alcohol and drugs in the Poppy Girls and a clever twist on the deception of power figures in the Wizard, representing the teacher. A vital aspect to the success of the production is the music, with influences from Charlie Smalls and William F Brown (music writers of The Wiz), popular contemporary music and a contribution of original tracks from musical director, DJ Walde (Some Like It Hip Hop, Flashmob). In harmony with the choreography, the music brought to life the emotions and original representations of the Oz characters. Portia Oti delights as Dorothy, an unfoccused student with a strong sense of loyalty. Michael McNeish is a stylishly innovative image of Toto, whose dance moves dazzle. Steven and William Pascua are hilariously drawn as the Wizard and his ‘mini-me’ Wiz Kid, while Cantelle Simpson and Annie Edwards, as the Witches of Good and West, allude to pantomime-style portrayals of morality and deceit. Every move made by the ZYC entirety appears to be undertaken effortlessly, with choreography kudos to Prince for the moves of Jaih Betote Dipito Akwa as Scarecrow, Michael Ureta (Tinman) and Corey Culverwell (Lion). As Senior ZYC members, their performance informs a sure transgression to further productions in the future. 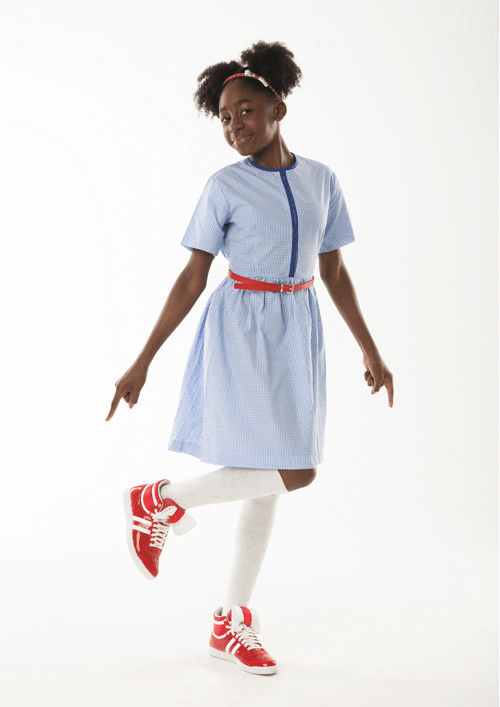 Groove On Down The Road, like Into The Hoods, will no doubt be a stimulus for young audiences considering a future in dance, as well as a reminder to adults to contemplate the importance of creativity in their children. The show is not only a success story for the dance world but one for the heart, brain and soul. Groove On Down The Road is showing in the Queen Elizabeth Hall at the Southbank Centre for the rest of August. Tickets can be bought here.